The fluke of a bryde's whale. Note how close the animal is to the banka. Photo taken on 29 February 2004. 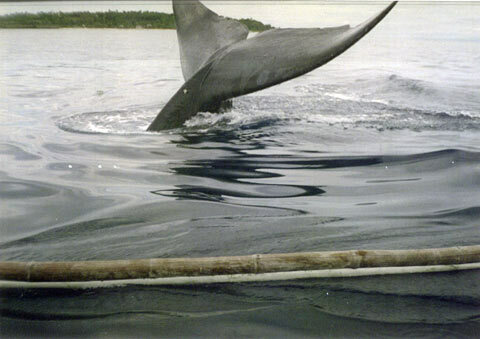 This whale was swimming near Pamilacan Island for more than a week. Based on the rating of 100 users.